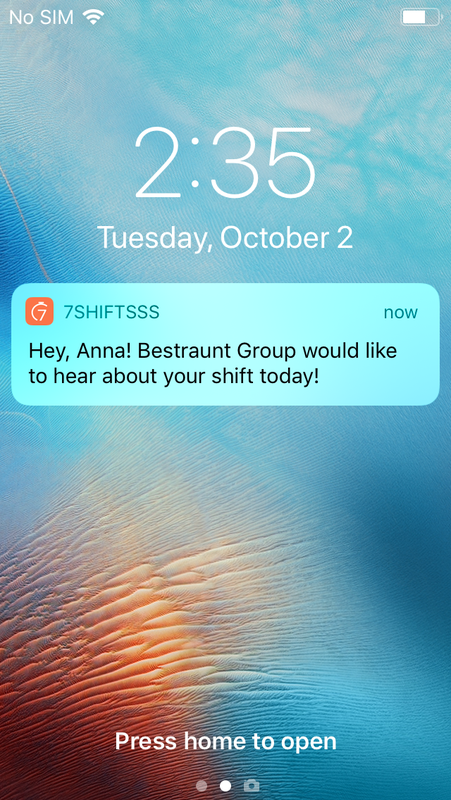 If your employer has enabled Shift Feedback, you will receive a push notification within 15 minutes of the end of your shift. You will receive the push notification within 15 minutes of the end of your shift. You will need to act on it within 6 hours of receipt. This is your chance to let your employer know how things went! Enter your feedback, then hit 'Submit'. 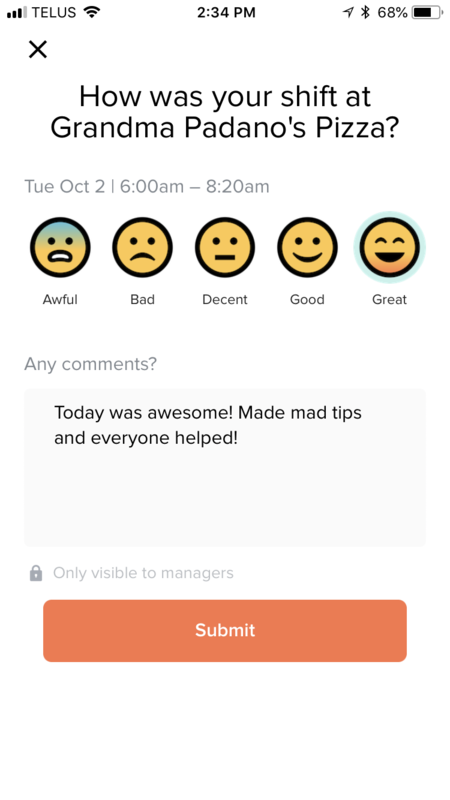 This feedback will be visible to all managers and admins for your Location.